This is the street in front of the hostel I stayed at. I took this shot fairly early in the morning to avoid the tourists. Whenever I travel, I try to visit a place with low expectations. However, so many people have said so many wonderful things about Cartagena I was unable to go into it without expectations. Cartagena did not live up to my dreams! It is true that Cartagena is gorgeous. 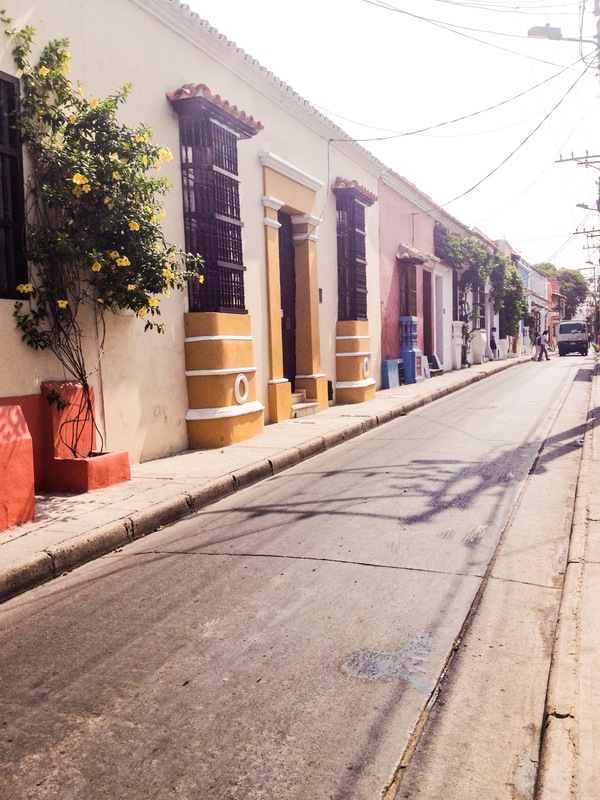 If you stay in Old Town and the lovely colonial architecture and vibrantly colored buildings surround you, then you will have to agree that Cartagena is beautiful. Once you leave the walls surrounding Old Town you will see that Old Town is like the set of an expensive play, just waiting for the tourists to come and play their roles. Another highlight IN Cartagena was El Castillo which was just a couple of blocks outside the walls of the Old Town. I highly recommend walking to the castle and getting their by sunset…though I wouldn’t plan on staying much later because I was getting A LOT of attention and it didn’t seem nearly as safe as it did within the walls. I’ve been living and traveling around Latin America for a few years now, and in Cartagena I felt like I was paying the same prices as I would when I was back home. I am from Portland, Oregon so paying $6-$10 for a cocktail is normal at home, but I usually pay $3…or buy a bottle of rum for $3. haha. I chose to eat in at my hostel instead of going out. I had to wait for quite a while before I could take a pic with this few people in it. Playa Blanca was BUSY! Many people said that Playa Blanca was a fabulous beach. I understand that people have different standards, but I am not impressed when there are wave runners for rent, banana boats, vendors for everything who bring their stuff right to your chair, ladies offering massages, and tons of little thatched roof “restaurants” crammed together. I usually look for less developed beaches like Los Cayos and Los Roques, but not everyone wants to go to Venezuela to get a little peace and quiet. Some people like busy beaches, and when I was there TONS of people liked it because I felt like I could barely find a spot to lay my sarong, let alone an open beach chair. Again, I did love wandering around the Old Town, seeing the castle, and I LOVED my day trip to the mud volcano (so much so that I will write a post about it next week!). I was originally sad that my limited budget made me choose to only stay three nights in Cartagena (both airfare, dorm prices, and excursion prices went up for Semana Santa), but I think it was the perfect amount of time! TIP: If you are looking for great beaches, and you have 5 or 6 days to spare, tons of people raved about the San Blas Islands. The islands belong to Panama, but I met many people who have said that the best way to see the islands is a five day sailboat trip between Colombia and Panama (or vice versa). I also loved my hostel that I stayed at while I was there! El Viajero is not the cleanest, nor the prettiest hostel I’ve stayed at. However, the hostel staff were very nice, there were TWO kitchens, free breakfast everyday, plenty of bathrooms, hammocks, good music, karaoke (for those who go for that kind of thing), and they organized some affordable day trips (though say “NO” to the boat trip to Isla Baru and just take the bus instead). I met tons of friendly people in my mixed dorm and, oddly enough, A LOT of international teachers! I paid about $17/per night for a dorm bed with an ensuit bathroom and I felt like it was a pretty good deal. Would stay there again! Please comment below! Have you visited Cartagena? 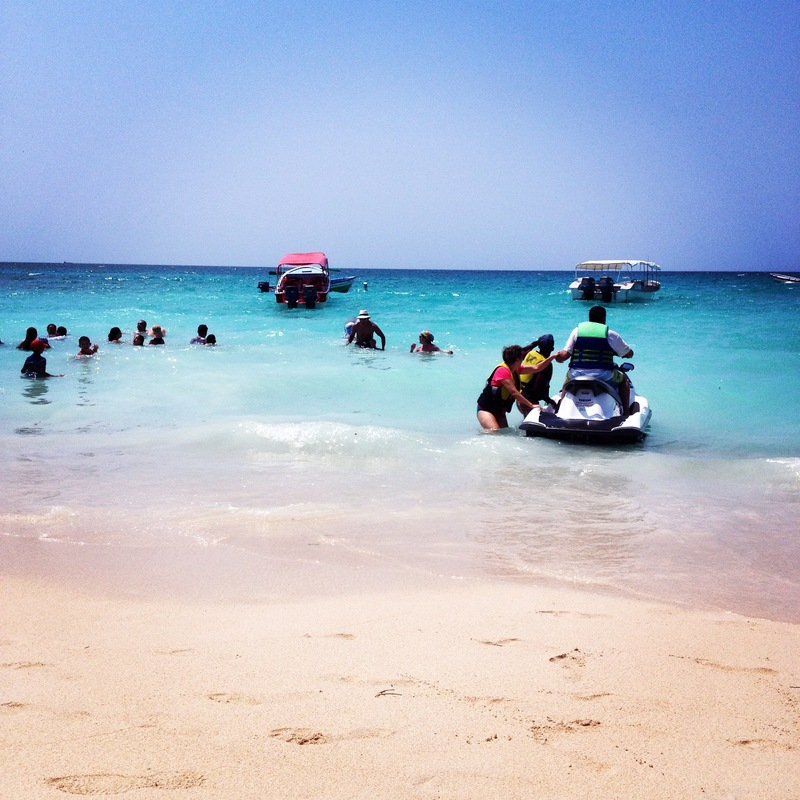 Did you love Playa Blanca? Do you have other travel tips to add? Good information. I appreciate the pros/cons included. Thanks for posting! You’re welcome! I always strive for balance in all things. 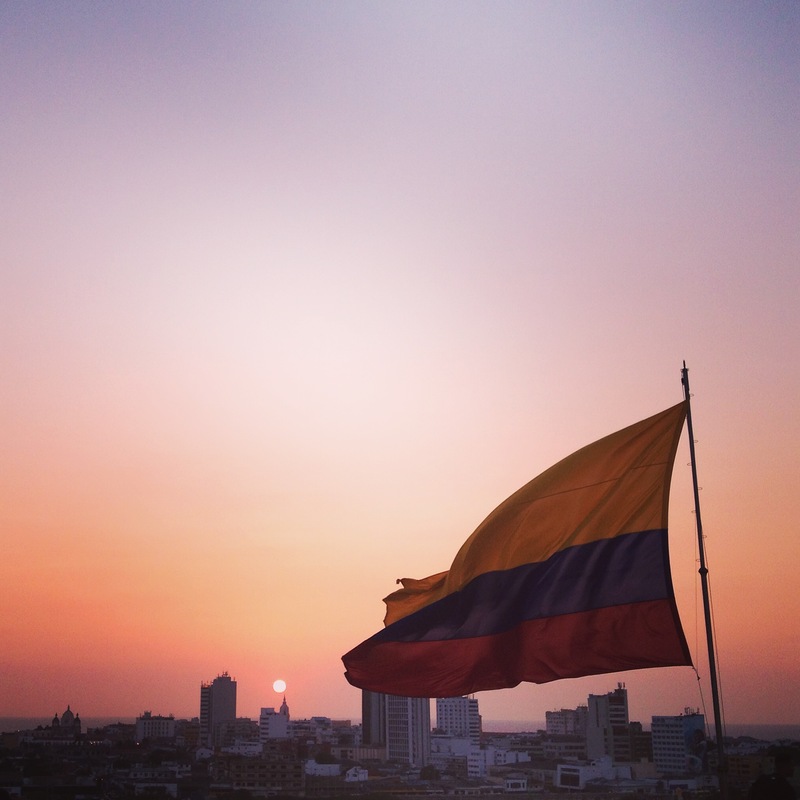 Some beautiful pictures of Colombia! It looks like an exciting place to be. Thanks! I loved Colombia and could totally see myself living there. But would you return to Cartagena? You sound a little on the fence about it. It sounds beautiful and not, at the same time. Your pics are beautiful, however! I would love the chance to return to Cartagena… I will just try my best to do it during off season! 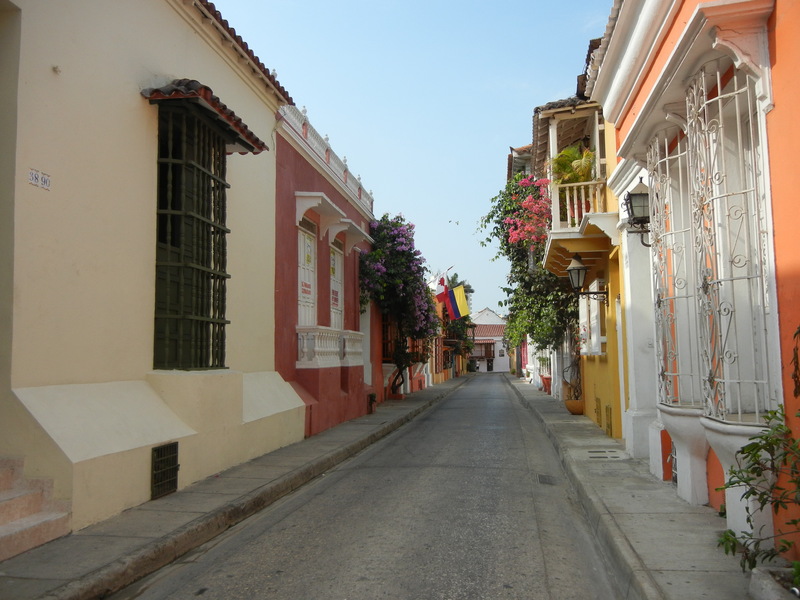 I would also like to explore the new city of Cartagena and see how the locals really live. Maybe stay at an Airbnb place. I love Cartagena! I have friends that live there so I’m lucky to have a place to stay. I usually visit during the winter months to escape the Midwestern cold! You are so lucky to have friends there! I love living in South America, but it is especially awesome during the winter months when my family and friends back home are all talking about snow and freezing rain!